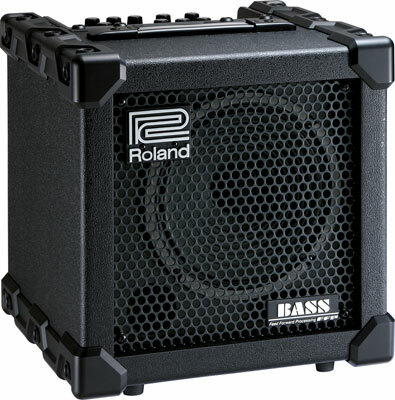 Delivering 120 pumpin watts of power, the Roland Cube 120XL bass amp is their flagship model. Featuring a 12 inch high performance coaxial speaker, the Cube 120XL will punch its way through any mix, and affords players plenty of flexibility onstage. Create a universe of instantly selectable tones with eight COSM amp models, including the new SUPER LOW, plus 4-band EQ, wicked effects, and Looper - a world's first for bass amps! Roland Cube 120XL Video Demos Click any of the video links on the left, then click Play to access the Cube 120XL demos Roland Cube 120XL Bass Guitar Combo Amplifier Features Compact 120-watt bass amp with custom-designed 12-inch coaxial speaker Dual custom-designed Air Flow Port for deep bass and punchy sound Eight COSM amp models, including the new SUPER LOW amp Seven effects, including the new DRIVE and POLY OCTAVE SOLO function with memory for use as a second channel Phrase Looper onboard for sound-on-sound recording with unlimited overdubs Four-band EQ for fine-tuning your sound Built-in chromatic bass tuner with drop tuning support XL Power for Bassists! The Cube 120XL bass amp remains portable and travel friendly, a Cube tradition, but now has the benefits from new-generation XL performance enhancements. 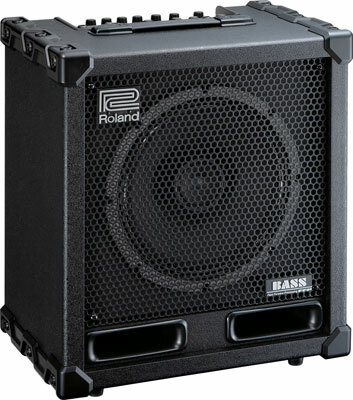 The Cube 120XL amp delivers a knock-out punch with custom FFP and COSM technology. 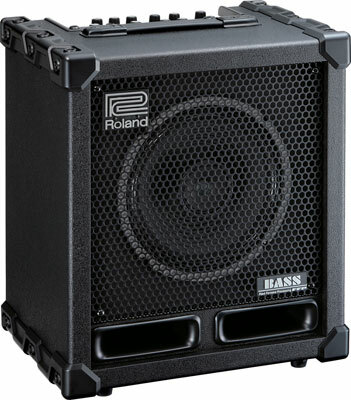 FFP is one of Roland's core technologies in which each component - amp, cabinet, and speaker - achieves maximum efficiency and performance for incredible power from a compact body. Dual custom-designed air flow ports provide deep base and punchy sound. And there's more to the XL Bass story: Check out the wicked new COSM amps and effects and, another world's first for bass amplifiers, built-in Looper for constructing stacks of sound in real-time! Great for rehearsals and gigs, the CB60XL is also the world's first bass amp with a built-in looper. The onboard Phrase Looper is great for sound-on-sound recording with unlimited overdubs. The CB60XL combo amp features a Solo channel with memory, eight COSM amp models, 3-band EQ and onboard effects. Roland Cube 60XL Video Demos Click any of the video links on the left, then click Play to access the Cube 60XL demos Roland CB60XL Bass Combo Amplifier Features Compact 60-watt bass amp with custom-designed 10-inch coaxial speaker Dual custom-designed Air Flow Port for deep bass and punchy sound Eight COSM amp models, including the new SUPER LOW amp Seven effects, including the new DRIVE and POLY OCTAVE SOLO function with memory for use as a second channel Power Squeezer for big, rich sound at low volumes Phrase Looper onboard for sound-on-sound recording with unlimited overdubs Three-band EQ for fine-tuning your sound Built-in chromatic bass tuner with drop tuning support.